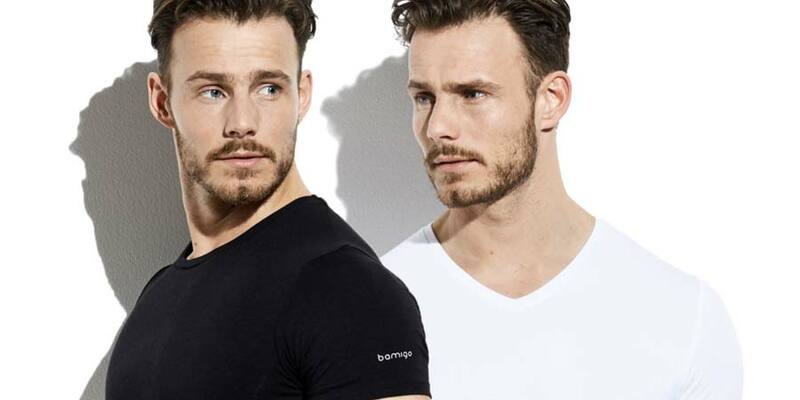 Style Guide: Crew neck or v-neck? Everybody has his own preferences when it comes to the question: “crew neck or V-neck?”. But how would the fashion world answer this question? We did some research and we will give you the answer in this Blog. For a versatile but effortless effect, you can wear your crew neck (also known as a round neck) T-shirt as a base layer under a crew neck jumper. But it’s better not to wear a round neck under a shirt because the golden rule is that the T-shirt under a shirt should never be visible. A crew neck T-shirt will be the perfect choice for weekends or for those days off. Pair with a bomber jacket for an evening down at the pub or even under a blazer if you can get away with it for work. Wearing a visible crew neck T-shirt can work particularly well if you are slim or have sloping shoulders. The shape draws people’s attention to the top part of your body and creates the illusion of squarer shoulders. You’ll appear instantly broader and better proportioned. In addition, this more substantial neckline provides balance to men with longer necks or narrow face shapes. By the way, did you know that the term “Crew Neck” comes from the T-shirt styles worn by the crew or oarsmen working on ships? 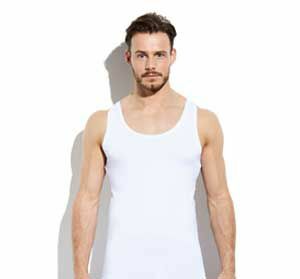 Even when you open the first button of your shirt, your V-neck T-shirt will be invisible. So, the V-neck is the perfect layer under all your shirts. Of course, it is also the right choice if you want to wear a V-neck jumper. 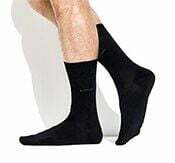 Are you trying to create the illusion of length and height? Or are you a larger man, who desires a slimming effect? The V-necks will satisfy you, because the V-neck naturally elongates your neck, and it also provides balance to rounder or wider face types. It gives you the perfect frame for your face. 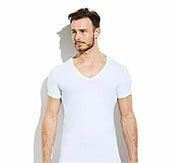 With our round neck models Smith and Jones and our V-necks Johnson and Davis you are not only going to look awesome, but you will also enjoy the perfect silky soft wearing comfort. So, whatever you like to wear, check out our T-shirts to find the perfect one for you.